Now that United’s frustrating Premier League campaign is over, the reds travel to Stockholm for a season-defining match against Ajax. In their 64th and final game of the season, it’s a match that has huge repercussions riding on it. If United are to win, they will qualify for next season’s Champions League and surely by the time August comes around, this season will seem very much a success in José Mourinho’s difficult first term at the helm. This is no easy game by any stretch of the imagination; the youthful, vibrant Ajax side will be just as ravenous for victory in Sweden. Many see this as United’s to lose and José Mourinho’s team will undoubtedly be feeling a huge amount of pressure in the build up to the match. Mourinho does have a good record in European Finals, winning all 3 of his previously played matches with both Porto and Inter Milan – one of those being a UEFA Cup Final. The Portuguese postponed his Press Conference ahead of match due to the team mourning the loss of many who were victims of a reported attack in Manchester, late on Monday night. An omen is with United as they will be in blue for the final time in the foreseeable future and won the Champions League at Wembley almost 50 years ago at Wembley in 1968. With the injury list still going strong, United will be joined by Swede Zlatan Ibrahimovic, Marcos Rojo, Luke Shaw and Ashley Young who are all seemingly on crutches as Mourinho has previously stated. Timothy Fosu-Mensah made a return against Crystal Palace and should be available for the bench. Jesse Lingard and Paul Pogba were substituted just before half-time therefore should be in line to start the match. Michael Carrick will likely be sacrificed for Marouane Fellaini in midfield and United’s Sir Matt Busby player of the season Ander Herrera should return to play alongside the Frenchman and the Belgian. The passionate fans-favourite Spaniard is already relishing the occasion after losing the Europa League Final in 2012 with Athletic Bilbao, in a campaign in which Bilbao sh0ckingly beat United over 2 legs. Wayne Rooney made a somewhat emotional walk off the Old Trafford pitch towards the end of the game on Sunday as he was replaced by stunning sensation Angel Gomes. The United captain will likely start on the bench, with two players that have been integral to United’s Europa League campaign, especially in the later stages, Marcus Rashford and Henrikh Mkhitaryan getting the nod. Sergio Romero is set to start in goal, with players’ player of the season Antonio Valencia and the revitalised Matteo Darmian expected to return to their full-back roles to complete a side that United fans have gotten used to in the Europa League in the knockout stages. Other than Axel Tuanzebe, it is unlikely any youth players that flourished on Sunday will feature in the matchday squad in Stockholm, but many have made a good account for themselves for next season when José Mourinho reviews his squad, possibly in the coming days after the Final. It’s sure to be a very intriguing game and United’s season – aswell as next – truly does hang on it. 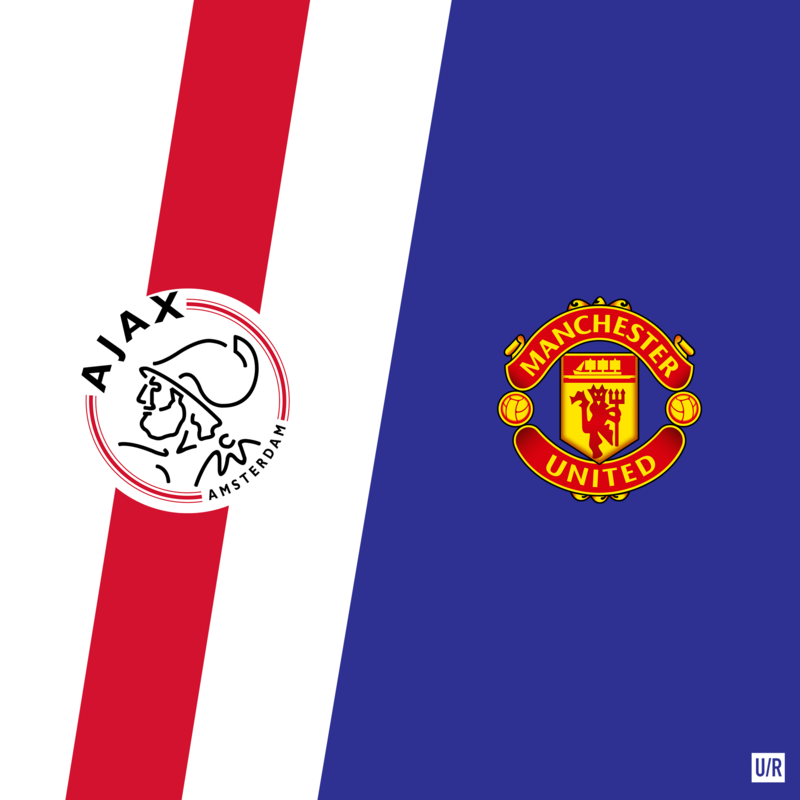 A fragile yet explosive Ajax team will be hoping to break through the no doubt defensive United team, who themselves will surely give everything to complete the impressive major trophy collection with the Europa League. Things are slightly different this time around compared to London, Barcelona and Moscow with only around 9,500 reds being allocated seats in the acclaimed Friends Arena and, more importantly, it being a Europa League Final. Will it be a 4th European title for Manchester United or will Ajax cause a shock to the world? All will be revealed in Stockholm, very shortly, for the 2016/17 Europa League Final.